Cafe de Zeevaart is a typical old-fashioned Amsterdam bar. When you enter this bar, it seems as if time has stood still here. This place is filled with football scarves and the counter is made of copper. 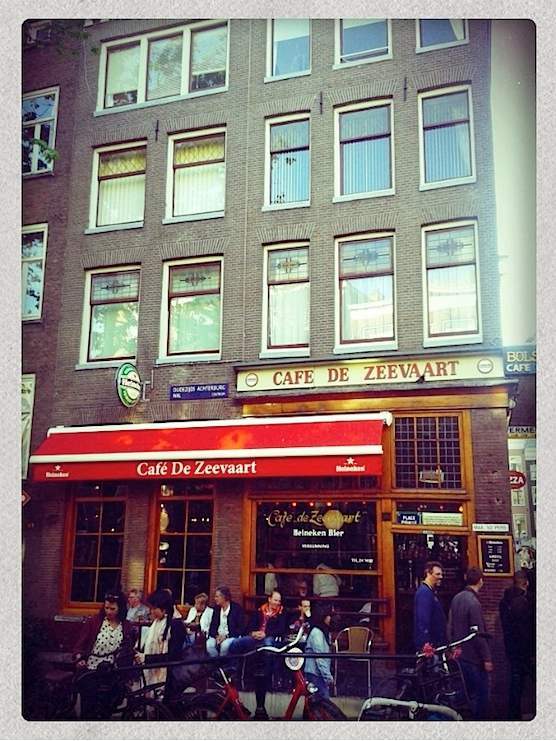 At Cafe de Zeevaart, which is located in the heart of the red light district, you got a lovely view. And prices are very reasonable here. A cup of coffee costs 2 Euros. The people that visit Cafe de Zeevaart are what you would expect from a typical brown bar in Amsterdam: not too young and a bit critical about life. Sometimes right, sometimes wrong… Great peeps to have a drink with, though. During the weekends, Cafe de Zeevaart also attracts more younger folks. Go have a Dutch night out, go to Cafe de Zeevaart! Cafe de Zeevaart is a cozy bar, which you’ll definitely like. Especially because its filled with locals. It’s a very good place to start the evening with some nice Dutch beers. If you’re lucky enough to arrange a spot on the terrace, you’ll be amazed by the view here. In front of Cafe de Zeevaart there are prostitutes standing in a brothel. From the terrace you could also see people visiting the Moulin Rouge. Tip: Go have a chat with the barkeeper. 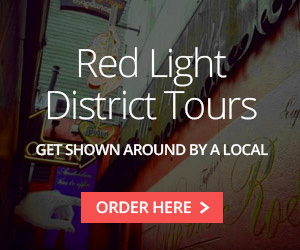 They can tell you great stories about the Red Light District, as there is always something happening here. Cafe de Zeevaart is a people watchers paradise! It sits on a corner, next to a bridge and on the canal side. Another good place to have some drinks is Mata Hari, which is located just next to it. It’s hip and a bit classy. Or you could go to Cafe Old Sailor. A cozy bar which attracts both locals as tourists. Also located in the same street. Have you been to this bar in the Red Light District before? 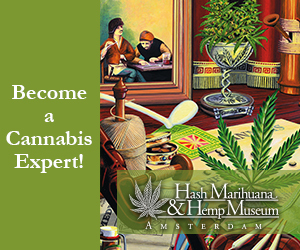 Let the world know how it was, by sharing your experience in the comment section below.